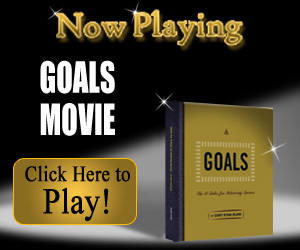 Just in time to reenergize yourself and your team for the 4th quarter push to reach 2011 goals is the NEW Movie Goals! It is the perfect tool to provide the goal achieving information you need in a straight forward and systematic manner. The author of Goals, Gary Ryan Blair, is considered one of the nation's experts on the topic of goals. Goal Posters: Great ways to motivate your team.